The book strips some of the world’s most successful brands down to their basic components, enabling readers to understand how their verbal and visual approaches affect our daily choices and decisions. It shows how branding begins; not by jumping to instant visual solutions but how research, insight and strategic thought can identify the correct place to start. 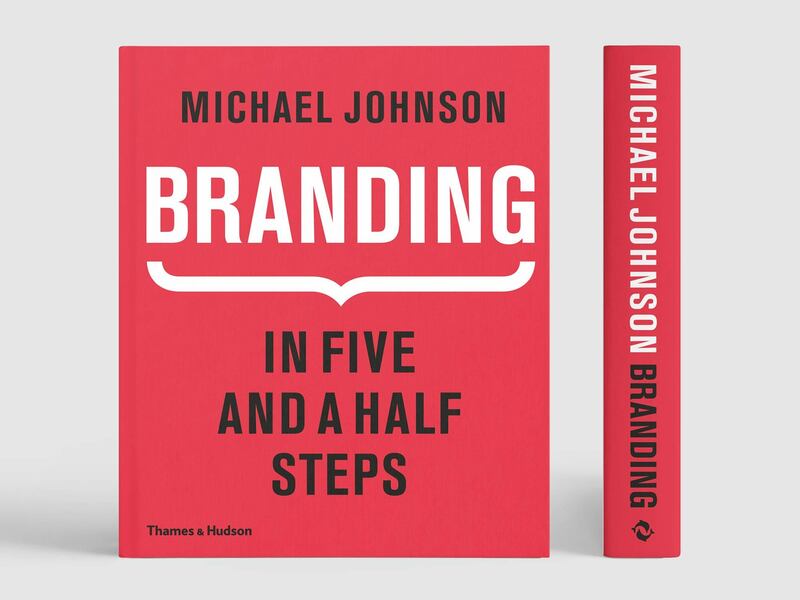 Johnson then analyses all the elements involved in creating a successful brand – from the words that gives brands a clear narrative and purpose, to the design approaches that unite with language to reinforce a core message. With more than 1,000 vibrant illustrations showcasing many of the world’s most successful brand identities, plus a universal six-question brand model that enables readers to begin to define brands for themselves, Branding is an accessible and authentic guide through a complex process, allowing readers to understand the steps, then create the simplest and most compelling brands for themselves. Branding: In Five and Half Steps has become a best-seller on both sides of the Atlantic and sold out in Europe within months. The Observer’s Robert McCrum described it as ‘probably the best thing on its subject – and even a book for civilians, too’. On-line reviewers described it as ‘The best reference on branding I've ever seen’ and ‘very straightforward, passionate, concise, with many great case studies and examples’. Johnson toured the world in 2017 talking about the book, including speaking at the Edinburgh Festival.